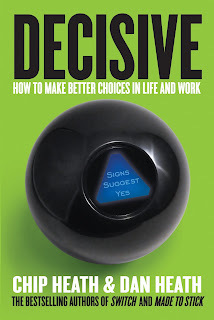 A practical guide to thinking through decisions, Decisive is filled with readily implementable and real-world techniques. Brothers Chip and Dan Heath dissect the crucial elements that stand in the way of good decisions, and offer up easy-to-follow solutions. The tactics are offered under a simple four-step framework: Widen Your Options; Reality-Test Your Assumptions; Attain Distance Before Deciding; and Prepare To Be Wrong (conveniently, these are abbreviated as WRAP). Under each heading, the book is filled with little tricks that can be deployed to work through difficult decisions. Some are more mundane and obvious: seek the wisdom of someone who solved the problem; or pilot-test the solution at a small scale (presented in the book under the unnecessarily cutesy title of ooching). Others are more intuitive and perhaps less often clearly verbalized: set tripwires in time or resources to limit exposure to loss from solutions worth trying but with uncertain outcomes. And in the chapters on Prepare To Be Wrong, the book excels: the ideas around premortems and preparades are terrific reminders to identify the wide range of future risks that may be associated with today's decisions, as well as the equally dangerous consequences of unexpectedly large successes. Part of the book's appeal lies in the buffet-style applicability of the advice. The various suggestions can be applied discretely depending on the specific issue at hand, and different decisions can benefit from different individual parts of the WRAP system. The book is witty, succinct, filled with relevant but non-redundant examples, and punctuated with humour. Each chapter ends with a compact but thorough one-page summary, capturing the key learnings, with reminders of the examples used in the text. 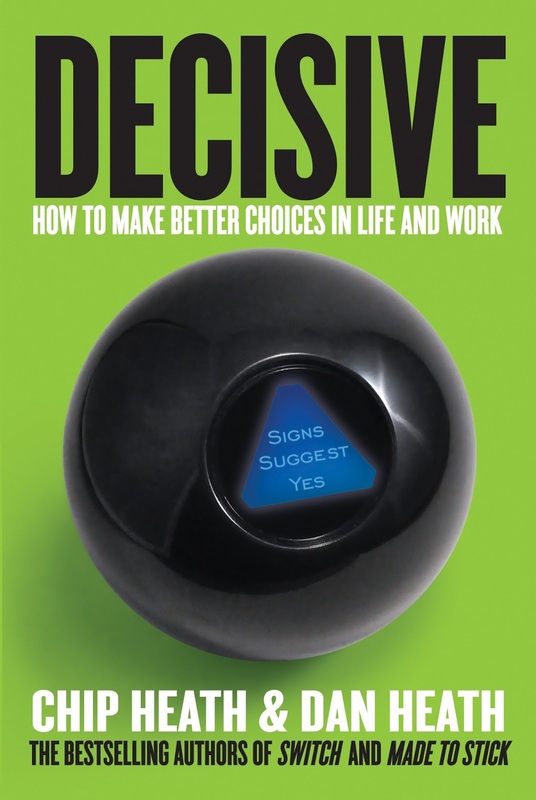 While the content of Decisive is not necessarily ground breaking, collectively this is a book of effective and workable tactics, applicable to both personal and professional forks in the road. Subtitled: How To Make Better Choices In Life And Work. 253 pages, plus additional short example chapters titled Clinics and Overcoming Obstacles, plus Endnotes and Index. Published in hardcover by Random House Canada. All Ace Black Blog Book Reviews are here.